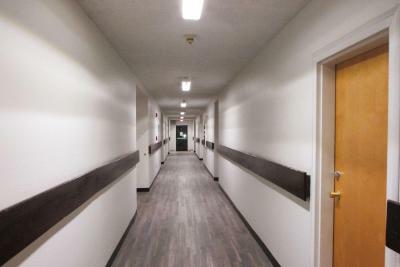 From walking into the building I noticed the hallways are not small like most places, plenty of room. The king bed was one of the best we've slept in, a great night's sleep. I love the fact that there are more channels on TV than most places, Direct TV was a great choice to have. It was clean and pleasant, bed was comfy, soft blanket, great pillows, clean bathroom, good entertainment, pet fee wasnt bad either. Staff was great as well. Breakfast area was very clean - standard presentation. Management very friendly ... helpful! Pet friendly which was important to us. Liked the fact there were hardwood floors versus carpeting. Overall would definitely stay again should we be back to this area. There is not much to like about about this place, but it did offer a basic room for the night. Good value for money. Good value for money. The staff were friendly, helpful and polite. The hotel is also close to the highway, which made it convenient for passing through Gallup. On check-in I was given good directions to a great little local restaurant that was very welcoming to a woman eating alone. Staff were professional and answered all the questions to location, price, eatery, and etc. The room was nice and clean and the bed was comfy. There was plenty of parking space evem though there was construction going on. The night staff were very friendly. We were not interrupted by the by passing train. Econo Lodge Gallup This rating is a reflection of how the property compares to the industry standard when it comes to price, facilities and services available. It's based on a self-evaluation by the property. Use this rating to help choose your stay! Located off Interstate 40, this hotel offers a free shuttle to Gallup Municipal Airport, 2 miles away. 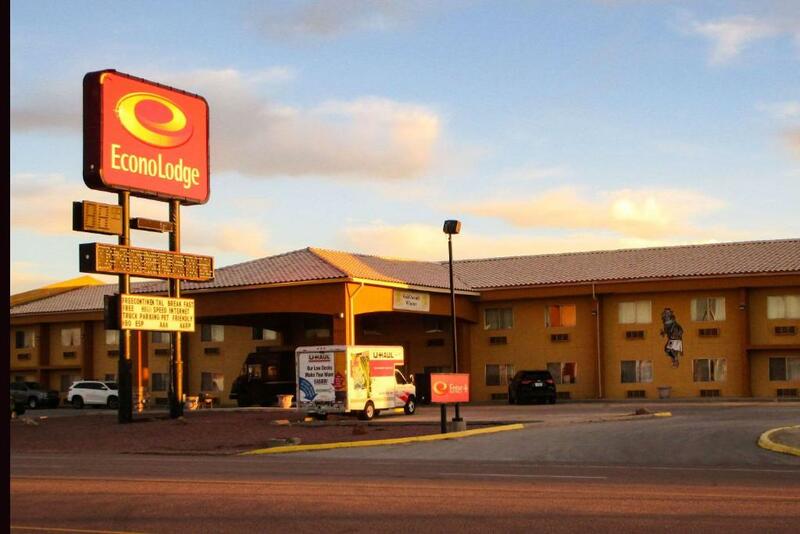 Econo Lodge Gallup includes a free continental breakfast, business facilities and rooms with free Wi-Fi. A cable TV and a table with chairs are provided in every room at Gallup Econo Lodge. The simply styled rooms offer a hairdryer and a telephone with free local calls for guest convenience. Red Rocks State Park and Fort Wingate are within 15 miles of this hotel. Downtown Gallup is just an 8-minute drive away. When would you like to stay at Econo Lodge Gallup? A flat-screen cable TV, a microwave and a small refrigerator are featured in this room. This double room has a balcony, cable TV and microwave. House Rules Econo Lodge Gallup takes special requests – add in the next step! Econo Lodge Gallup accepts these cards and reserves the right to temporarily hold an amount prior to arrival. This is a two story building that doesn't have an elevator, and I am handicap. I had to drag my bags upstairs and I strained my back. Maybe consider either am elevator or more handicap rooms downstairs. Also the shower heads could be replaced, they are old and do not spray properly. The pillows were kind of on the small side and too fluffy, not firm. Could use more lighting in the rooms. And plugs for charging phones by both sides of the bed. No lamps were by the bed either, had to get up to turn on a light. Shower curtain rod loose ... cigarette holes in blanket - nothing major - just cosmetic and it happens. Clerk was not friendly. He seemed a little put out because we paid in cash. Nice clean room, parking area were also clean area , had awesome staff & also great location. Cold coffee and powdered creamer - yuk! The ac didn’t work, the pillows were not comfortable, and the towels were clean but dingy color. The room was worn and needed updating. The comforter was clearly old and the bathtub was discolored. But for the price I don't think this is surprising. Due to construction in the hallway there was a lot of noise.